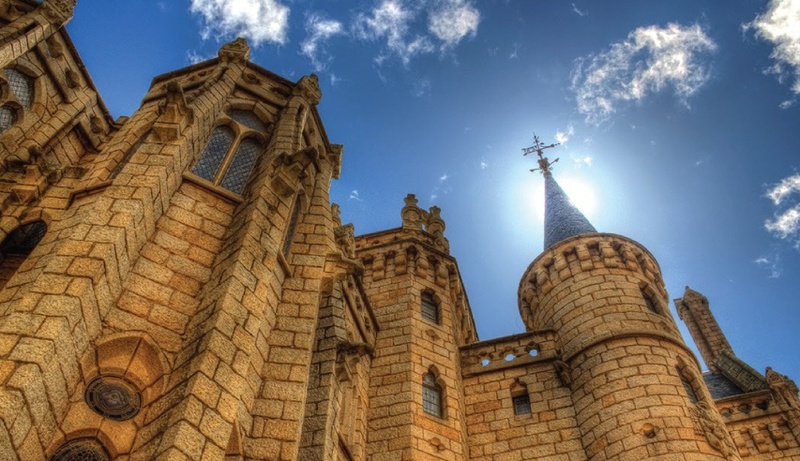 When the original Episcopal Palace in Astorga, Spain, was destroyed by a fire in 1886, legendary architect Antoni Gaudi was assigned to reconstruct the structure. Gaudi, a modernist architect, built a palace reminiscent of the castles of royalty, complete with a moat and ornate gargoyles along its crest. After decades of weathering the elements, however, the Episcopal Palace was in need of some repair. 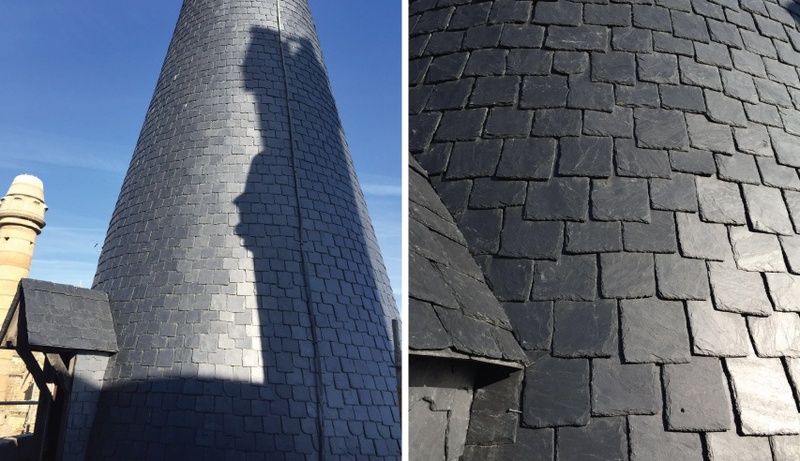 Recently, Spanish slate company Cupa Pizarras fitted the castle with gorgeous natural slate roofing. 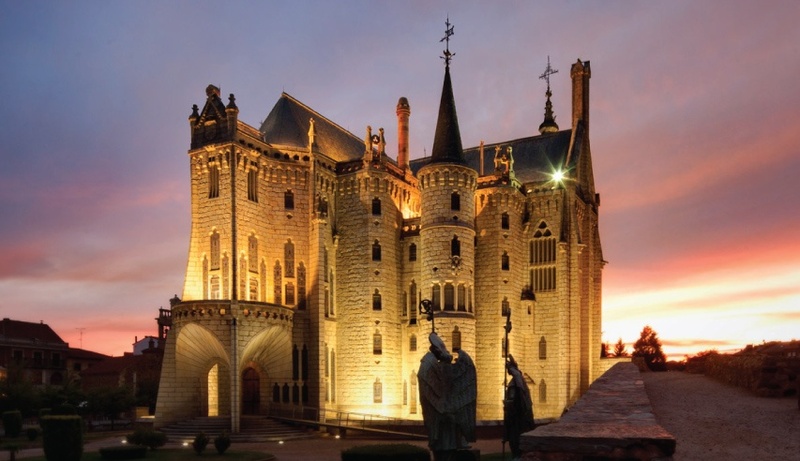 Using 6mm thick slate tiles, the Astorga monument was restored to its former glory and continues to stand sentry over the Spanish landscape. It is currently home to the Museo de los Caminos, a museum dedicated to objects related to the Camino de Santiago, the pilgrimage routes to the burial place of Saint James. Slate roofing was specified for a number of reasons. First and most obviously, slate roofing was first used on the roofs of castles and churches in medieval days. With its castle-like architecture, it was a clear choice of material, and remains so on many restorations. However, this hardy rock is more than just a gorgeous and historically-accurate roofing material. Slate roofing is incredibly durable in any element– fireproof, waterpoof, and sturdy against hail, there are few conditions that can phase it. Even hurricanes have been defeated by this material. The typical lifespan of a slate roof is upwards of 100 years. In comparison, other popular roofing materials such as asphalt shingles are expected to be replaced every 30 years. Additionally, the gorgeous and durable nature of slate often ads market value to any property. Slate roofing is also extremely eco-friendly. Although this was hardly a concern for the 1800’s architect who first designed it, sustainable design has become a focus for many architects. 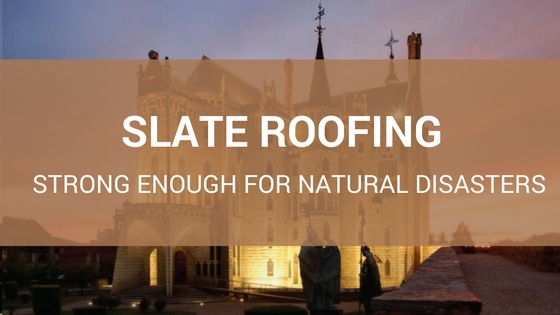 Thanks to its innate properties, slate roofing needs little more than to be cut out of the mountain and hand-carved to be ready to be fitted. This avoids the emission of ozone-eating CO2, and uses even less water than the environmentally-revered terra cotta tiles.